Hi mate, you up to much tomorrow? Got a few things planned, how come? 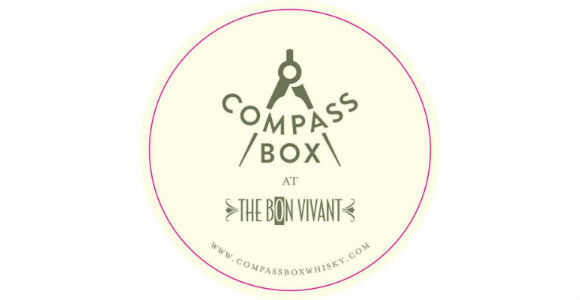 Oh, I just wanted to invite you to The Bon Vivant for a Compass Box whisky dinner with John Glaser. That’s pretty much what happened last Tuesday afternoon. Just over 24 hours later, I threw on my gladrags and headed along to The Bon Vivant in Edinburgh for a rather special St. Andrew’s Day event. 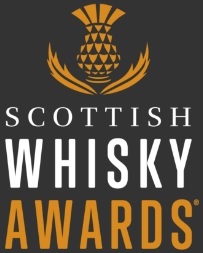 The evening itself was a riot, sitting next to Arthur from Royal Mile Whiskies, Timna from Usquabae Whisky Bar, Tim Pryde from Marussia Beverages and, of course, John Glaser from Compass Box. 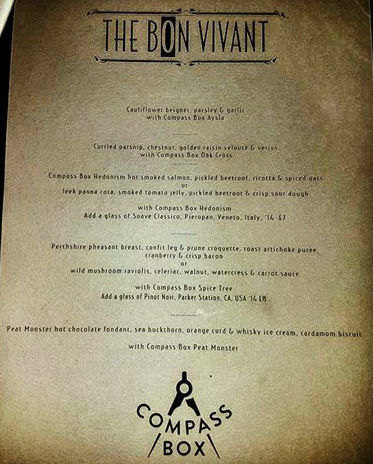 Over the following few hours we were treated to an excellent five course meal with matched whiskies from Compass Box’s extensive portfolio. 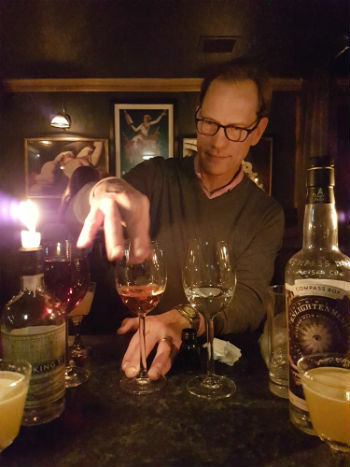 Taking everything from glassware, temperature and dilution into account, the whiskies matched perfectly with the food, highlighting different parts of each dish in both a complementary and contrasting way. The stand out pairing for me was the Perthshire pheasant breast, confit leg and prune croquette, roast artichoke purée, cranberry and crisp bacon which was matched with Compass Box Spice Tree. The pheasant really accentuated the oaky, spicy notes coming from the heavily toasted cask heads used to mature this whisky. 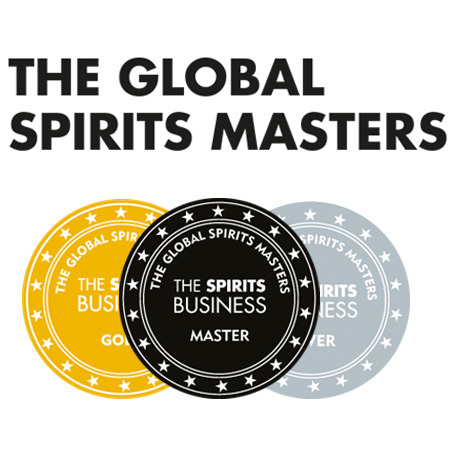 Chatting with Mr. Glaser was also a massive highlight, discussing everything from current trends in the whisky industry, to the transparency campaign, to his nonchalance towards whisky bloggers and commentators (!) as well as hosting a rather adhoc but very interesting experiment with caramel colouring. After retiring to Bramble for a couple of cocktails and even a dram of Peat Monster from ca. 2011, I wandered off into the night wondering how my evening would have been spent had I missed that phone call and not been able to attend – very glad I was taking end-of-Movember selfies on Tuesday afternoon after all (no, I will not post them here). This entry was posted	on Monday, December 5th, 2016 at 12:05 pm	and is filed under Events. You can follow any responses to this entry through the RSS 2.0 feed. Responses are currently closed, but you can trackback from your own site.